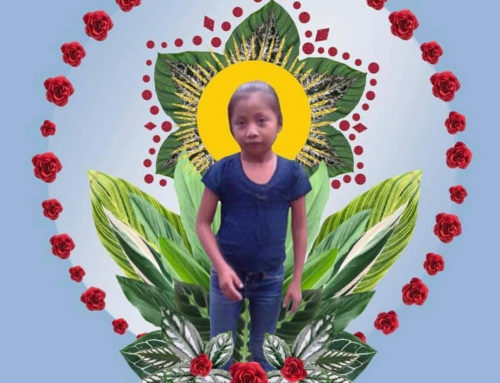 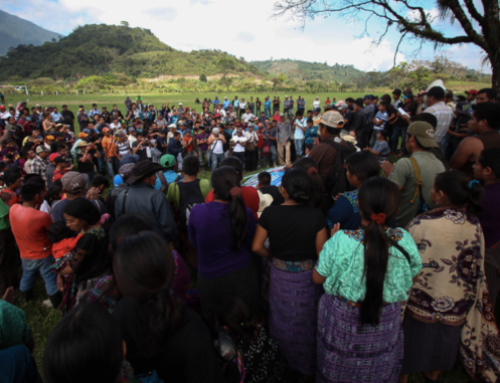 “The situation for land and environment defenders in Guatemala and Latin America is progressively getting more and more dangerous. 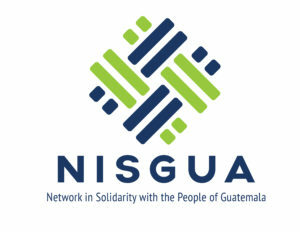 It is absolutely urgent that the Canadian government respond to the demands that 180 Latin American organizations – including CALAS – sent in a letter to Canadian Prime Minister Trudeau over six months ago to take measures to prevent systemic harms and ensure that affected peoples and communities have access to justice for the many harms taking place,” responded Lisa Rankin for the Breaking the Silence Maritimes-Guatemala Solidarity Network. 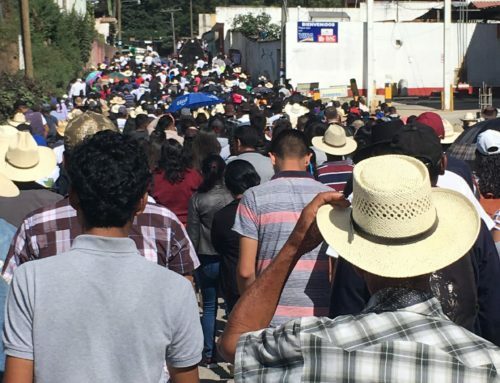 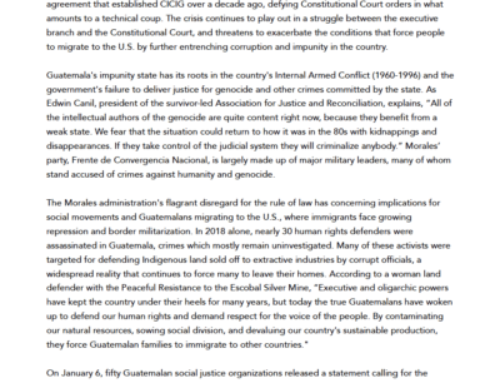 “In response to this deadly and devastating attack, and profound apprehension regarding ongoing militarization and threats against land and environment defenders in Guatemala, we want to reiterate our commitment to build ever greater solidarity from organizations in the U.S. and Canada to support Guatemalan partners in their essential work for healthy communities and a healthy environment,” emphasized Ellen Moore from the Progressive Leadership Alliance of Nevada (PLAN). 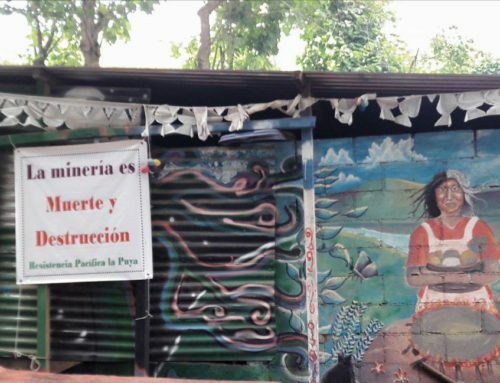 Amnesty International Canada, Breaking the Silence Maritimes-Guatemala Solidarity Network, the Canadian Centre for International Justice (CCIJ), the Center for International Environmental Law (CIEL), the Guatemalan Human Rights Commission (GHRC), the Justice and Corporate Accountability Project (JCAP), KAIROS: Canadian Ecumenical Justice Initiatives, the Mining Injustice Solidarity Network (MISN), MiningWatch Canada, the Network in Solidarity with the People of Guatemala (NISGUA), the Progressive Leadership Alliance of Nevada (PLAN), Projet Accompagnement Québec-Guatemala (PAQG),the Public Service Alliance of Canada (PSAC), and United for Mining Justice have released this as a joint statement.